Early summer is our busiest time of year! As you might imagine, many of our proejcts are finishing up now so our customers can enjoy the summer in their new custom home! Given how busy we are, it is important to take the time to stop and enjoy the craftsmanship that shines through in our homes. 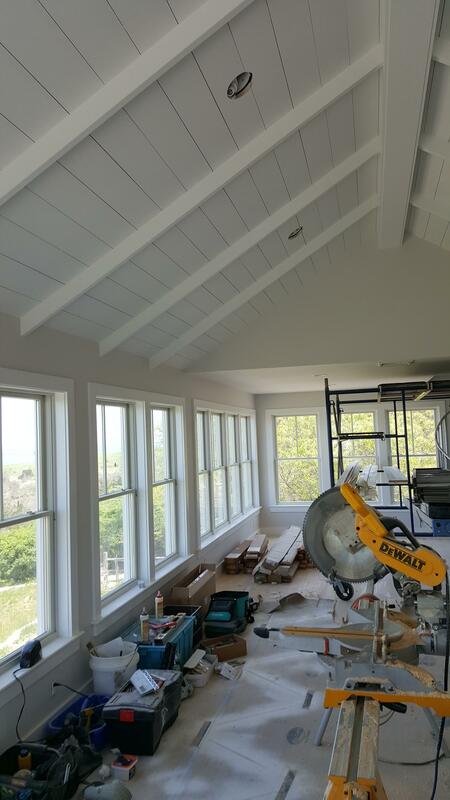 Right now, simple finishes are in demand, especially with waterfront custom homes, where our design team is trying to focus on letting the natural view serve as the focal point, not the finishes. 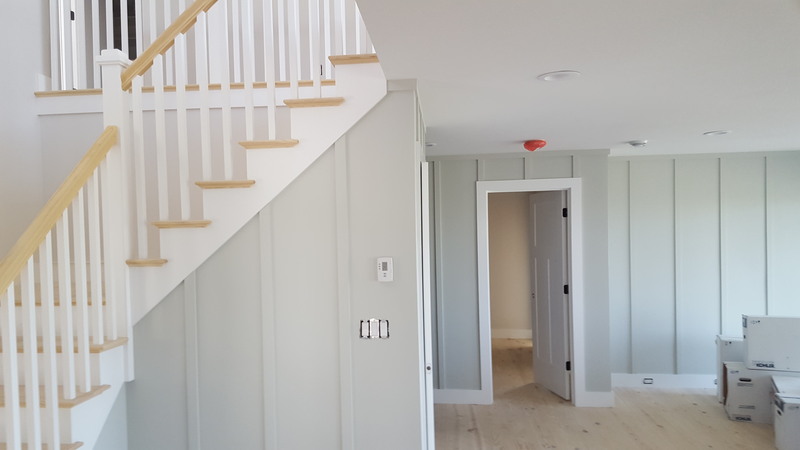 Here are some pictures of custom homes that we are completing now... Hat's off to our hard working team of builders and craftsmen and women who make this all happen! Planning your New Home, Remodeling or Renovation project can be a fun and exciting process. We often tell our customers to make a list of "wants" and "needs" and to always make sure to prioritize the needs first. The internet and television are full of trendy ideas that look good at first, but can be both impractical, and a waste of money. We found an article from msn.com that provides a list of the 8 most overrated home improvement projects. Items such as home theaters, and large jacuzzi tubs are just a few of the things that they describe as items that look great, but never get used and cost a lot of money. There is also a list of suggestions for projects that do make sense and can enhance the look and value of your next home project. Here is the full article from MSN.com: 8 Overrated Home Improvements. Kitchen and bathroom remodeling still top the list of remodeling and renovation projects nationwide. 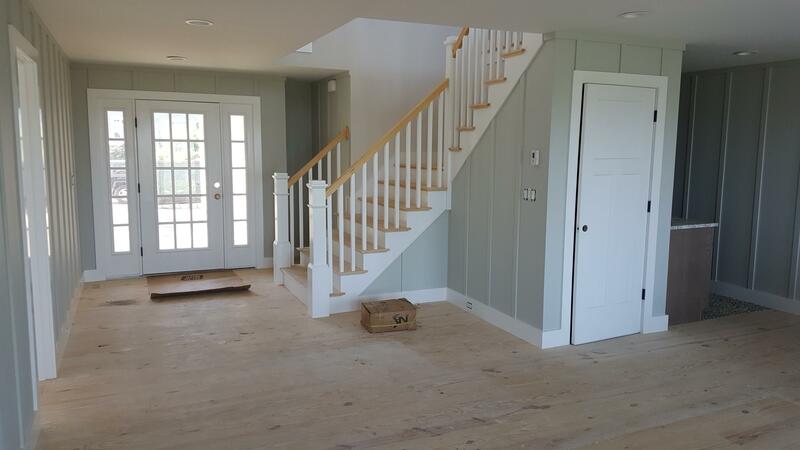 As a custom home builder and remodeling contractor, REEF often performs this type of work. With the current economic conditions, the market has changed, and value-oriented customers are seeking ways to get more for their dollar. We found a great article from Housingzone.com that provides input from remodeling contractors across the country on planning and executing your project. There is a lot of great information here. Here is an article with some tips for your next renovation project. Here are some tips for projects that actually provide a return on your investment. Each year, real estate industry experts put together a list of the home renovation projects that give you the biggest bang for your buck. They, of course, are basing their measurements on which home improvement & renovation projects add the most monetary value to your home. The top home improvement projects on their lists usually include things like replacing your entry door with a steel-reinforced door or general cosmetic improvements. If you’re planning to sell your house soon and want to do a home renovation project that will increase the likelihood of sale or add value to your home, they’re offering good advice. For those who intend to stay in their homes, though, a new steel door may not be quite the bang they want for their buck. If you’re looking for a home improvement project that will increase your enjoyment of your home, consider these renovations, additions and improvements instead. Want to instantly relieve morning tensions and bring peace to your home? Hire a contractor to add a bathroom to your house. The right contractor will work with you to reduce the costs by locating your new lavatory where you have to run the least amount of pipe. Your new bathroom doesn’t have to be a luxury-laden master bath to make your house a more pleasant place to live. Updating your kitchen with new appliances, an island dining center and a new layout can turn the mealtime hassle into a fun social activity. Some kitchen updates are DIY-worthy. Others, like taking down walls to open out a pantry, require skilled trade workers. You can find an experienced and trustworthy local contractor online to help you create an efficient kitchen layout that turns mealtime chores into family activities. 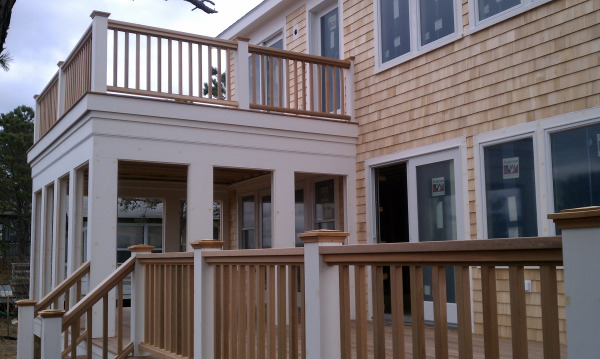 Wooden decks are among the few home renovation projects that fit both ROI lists. You can recoup up to 80 percent of your investment in an outdoor deck in added value to your home. If your reason for taking on a home improvement project is to increase your enjoyment in your home, you’ll get a whole lot of enjoyment out of a new deck. With the right contractor, a deck project can be surprisingly affordable, and you’ll enjoy the results for years to come. Got kids moving back home or parents living nearby that you worry about? Fitting an extended family under a single-family roof can cause all sorts of strain on relationships. While most people wouldn’t think to turn to a professional contractor for relationship counseling, their services can be exactly what you need to relieve stress. Home additions that add on a contained mother-in-law apartment or guest house provides both ends of the extended family with privacy and personal space – an invaluable way to get more pleasure from your home. From simple cosmetic improvements to full-on home renovation projects, a local professional contractor can make your life easier and your home more enjoyable. Pick the project that will make your house feel more like the home you love and find a skilled contractor to bring it to life. Chris Robertson is an author of Majon International, one of the world’s MOST popular internet marketing companies on the web.